Dark Horse Comics has a lot of new Star Wars titles for release today. Darth Vader and the Ninth Assassin #5 finally reaches the end. Was it a let down? A satisfying conclusion? Click here to read our full review and find out. Fair warning, we delve into spoilers. Darth Vader and the Ninth Assassin comes to a close with issue #5. Having stalked Darth Vader, the assassin is now ready to strike . . . It seems Vader, distracted by threats to the Emperor, could be taken. But the assassin has made one mistake—believing that he has a chance against the most-feared man in the galaxy! With only one more issue to go, Darth Vader and the Ninth Assassin #4 breaks out the weird. A temple full of disfigured cultists. A prophecy featuring Vader. And an offer to bring chaos to the Force. Click here to read our full review. Darth Vader and the Ninth Assassin #3 continues to raise the bar. This is one series you don’t want to miss out on. Click here to check out our full review. Click here for a five page preview. Dark Horse has updated their upcoming releases page with their Star Wars solicitations for September 2013. * Official adaptation of George Lucas’s original screenplay forStar Wars! In Darth Vader and the Ninth Assassin #2, the story kicks it up a notch as Vader steps into the limelight. Can the Dark Lord deal with an assassin? Sure, but can he also deal with an ancient cult so powerful it can cloud the Emperor’s Force sight? Click here to read our full review. 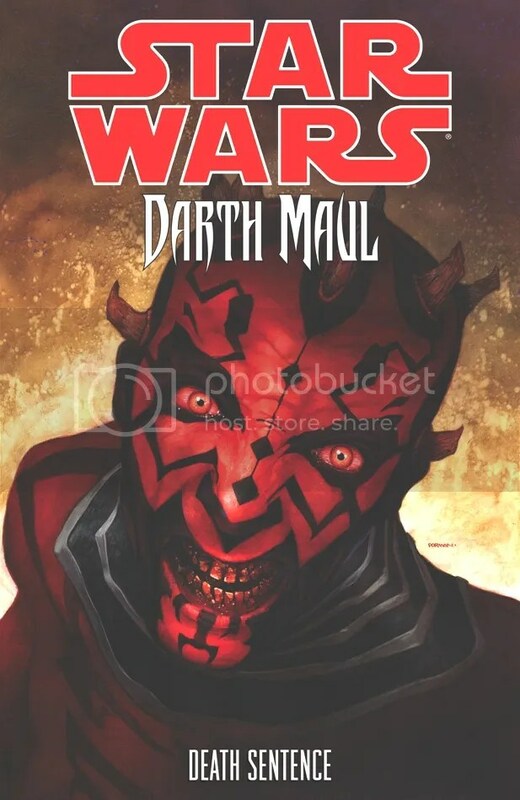 Dark Horse Comics has two new Star Wars releases today: Darth Vader and the Ninth Assassin #2 and the trade paperback edition of Darth Maul: Death Sentence.